Carolee Johnson Hale. 74, beloved daughter, wife, mother, grandmother, great-grandmother (GG), sister, aunt, and friend passed away peacefully on April 18th, 2018 after struggling for years with complications of diabetes. Carolee was the first of six children born to Farrell Johnson and Elaine Palmer Johnson. She arrived on June 15th, 1943 in Tooele, Utah at Tooele Valley Hospital. Starting at a very young age Carolee was a blessing to her mother as she willingly cared for her and 5 younger siblings. She grew up in Grantsville graduating from Grantsville High School with the class of '61. 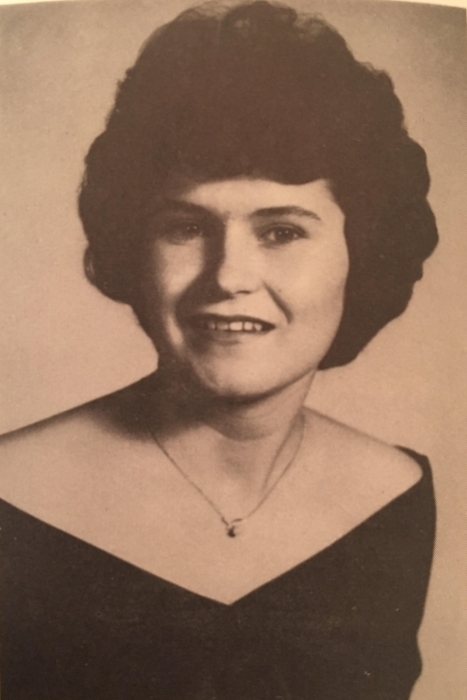 She married her high school sweetheart, Ron Hale on April 4th, 1962. They soon became proud parents of Eric, Andrew, and Heather. Carolee was an active member of the LDS Church. She enjoyed staying busy using her talent for sewing and quilting and was a beautiful seamstress. Throughout her life, she unselfishly used her hands to bless the lives of others. Carolee's greatest happiness in life was found in her family and loved ones. She cherished the time that she spent visiting with others and always made them feel welcome and loved. Due to poor health in her later years of life, it became a struggle for her to do the things that she enjoyed. Carolee faithfully endured her hardships with grace and humor. She has been a great example and will be missed by all who were touched by her sweet, unselfish spirit. The family would like to thank the Tooele Valley Dialysis Center for their loving care during the 15 years that Carolee was on dialysis. Carolee is survived by her husband Ron, Children Eric (Cholamany) Hale., Andrew Hale, Heather (Mike) Sutton, Grandchildren Zen (Mandie) Hale, Shem Hale, Nia (Blake) Whitehead, Alex (Trent) Kranwrinkle, Meg Sutton, Great Grandchildren Ava Kranwrinkle, Gus Hale. Brothers Van Johnson, Rick (Kristi) Johnson, Sisters Laurie (Brent) Palmer, Barbara (Gary) Dalton, LuAnn (Tim) Timmerman. In lieu of flowers please donate to the kidneyfund.org in memory of Carolee Hale. Funeral Services will be held at 11:00 am Wednesday, April 25th in Grantsville at the LDS Chapel on 428 S. Hale St. There will be a viewing from 10:00 am to 10:45 am for friends and family. Interment will follow in the Grantsville City Cemetery.